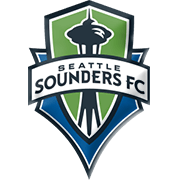 Following three consecutive wins, Seattle Sounders played out a goalless draw with Vancouver Whitecaps in their last league match. Brian Schmetzer’s troops made a fine start to the season and they will be looking to climb to top position in the Western Conference with a victory over Real Salt Lake. Raul Ruidiaz, who has netted three goals in the Major League Soccer, so far this term, will be the man to watch in the home team. The Royals, on the other hand, suffered three consecutive defeats in MLS and they must be low on confidence ahead of Sunday’s football game. 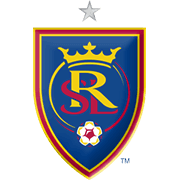 Real Salt Lake have been totally out of form at the start of the season and seeing that Seattle Sounders have big ambitions for the 2019 campaign, home win should be considered. It has to be noted, though, that in previous three meetings between the two teams in MLS the Royals emerged triumphant. Victor Rodriguez is a professional player who began his senior career at Vilajuiga, playing 36 matches for the club and scoring 11 goals. After spending three years at Badalona the pacey winger joined Zaragoza and it has to be noted that he scored six goals in 72 appearances for the Estadio La Romareda outfit in La Liga. On 7 August, 2014 Victor Rodriguez signed a three-year deal with Elche, but in August 2015 he was sent to Getafe on loan. Rodriguez scored two goals in 33 appearances for los Azulones in the 2015/2016 Primera Division campaign, but following Getafe’s relegation to Segunda Division, he signed a four-year deal with Sporting Gijon in the 2016 summer transfer window. Victor Rodriguez has yet to make his Spain debut, but he played for Catalonia in a friendly game. The Sporting Gijon winger is capable of playing as an attacking midfielder as well. Rodriguez was born in Barcelona on 23 July, 1989.